Mooi hoor. Ook de steenrijken op deze aarde komen met een klimaatinitiatief. De Breakthrough Energy Coalition is bedoeld om bedrijven te helpen innovaties op het gebied van schone energie snel op de markt te krijgen. Microsoft-oprichter Bill Gates en andere steenrijke filantropen, als Mark Zuckerberg van Facebook, Jack Ma van Alibaba en Richard Branson van Virgin, gaan miljarden steken in onderzoek naar duurzame energie. Om hoeveel geld het precies gaat is niet duidelijk. Met de coalitie willen de investeerders zowel de opkomst van schone energie versnellen als winst maken. In totaal zijn er meer dan 25 extreemrijken bij het initiatief betrokken, uit tien verschillende landen. Bill Gates is met een geschat vermogen van 84,6 miljard dollar (zo’n 80 miljard euro) momenteel de rijkste man op aarde. Hij zei eerder al dat hij de komende vijf jaar ongeveer een miljard dollar wil vrijmaken voor onderzoek naar schone energie. The world needs widely available energy that is reliable, affordable and does not produce carbon. The only way to accomplish that goal is by developing new tools to power the world. That innovation will result from a dramatically scaled up public research pipeline linked to truly patient, flexible investments committed to developing the technologies that will create a new energy mix. 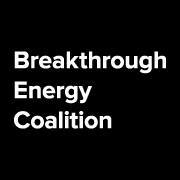 The Breakthrough Energy Coalition is working together with a growing group of visionary countries who are significantly increasing their public research pipeline through the Mission Innovation initiative to make that future a reality. Invest Early: The most transformative ideas are emerging out of research institutions and the great capital gap is in getting these ideas out of the lab and on the path to commercialization. We’ll take a flexible approach to early stage, providing seed, angel and Series A investments, with the expectation that once these investments are de-risked, traditional commercial capital will invest in the later stages. Invest Boldly: We are looking for outliers both in developing novel technologies AND in innovations which enable current technologies to be dramatically more efficient, scalable, or cheaper. Whether core or enabling technology, the key differentiating factor must be a credible pathway to rapid scaling – providing affordable energy to the greatest number of people without overburdening essential resources including land use. Invest Wisely: One of the challenges to effective financing in this area is a lack of depth in terms of technical review and analysis of underlying science and technology to guide investment decisions. To tackle this, we will work with a coalition of the world’s best minds, in partnership with leading public and private institutions, to guide investment decision-making. Invest Together: Because the foundation of these innovations will likely come through government research pipelines, we will focus our investments on those countries that have committed to increase the size of those pipelines by participating in the international initiative known as Mission Innovation. Those countries are making a serious commitment to using smart government spending to increase the rate of innovation in their domestic innovation sector while helping the world find solutions to the serious problems created by climate change, high costs of power, and energy price volatility. The world’s top industrialists including Bill Gates, Mukesh Ambani, Ratan Tata will on Monday announce the Breakthrough Energy Coalition, an international group of 28 investors to bring companies that have the potential to deliver affordable, reliable and carbon free power from the research lab to the market.